Rudraksha is a seed of evergreen Elaeocarpus ganitrus tree, widely worn as prayer beads in Hinduism. This vegetation falls under elaeocarpus genus, are mainly accessible in the foothills of the Himalayan range and gangetic plain area of Nepal and India respectively. It also can be found in different varieties in Indonesia, China, Guam, Myanmar, Hawaii, Malaysia, New Guinea and few other places. The fruit and a tree, both are known as Rudraksh in Nepali and Hindi language, also known as Ruthratcham in Tamil linguistic, and are equally importance in Hinduism religion. Once it is ready to harvest, various faces, forms and different dimension of seeds are available to appreciate in a single tree. In accordance to Shiva Purana, it is a symbol of Lord Shiva’s grace. The word Rudraksha is derived from the Sanskrit word called Rudra (implies incarnation of Lord Shiva, “Rudra avatar”) and aksha means tear drop, lord Shiva’s tear. Let’s talk about a short legendry scenario behind it, one day, Lord Shiva was soaking in meditation, he closed his eyes for many years and went into an intense state of meditativeness, he did not open his eyes for many years, after a long period he became so pleased in his meditation that his tears of happiness tumbled in the ground and later it turned into Rudraksh tree. Nowadays the trend of wearing “Rudraksha” throughout the globe is increasing day by day. Simply because some medical professionals have started to recommend it, as it calms our nervous system, minimizes our blood pressure level and many more. It offers lots of advantages once you wear it on the body.Hindu’s religion texts haven’t mentioned any restriction but it is considered a good practice to avoid meat, fish, and alcohol after wearing it. It is said, if wearer assumes religious practice vigorously, the effectiveness of Rudraksha will be visible quickly. It is a special type of seed, that every material on the planet possesses its own vibration and energies, but Rudraksa is the one and only substance which exists on earth owing an extremely difference and completely unique vibration. Rudraksha has great importance in religious terms, still, we can see many nirvana seekers, sadhus, saints, yogis, monks wear it and this practice have been following since century ago. The key reason why individuals on the spiritual path wore Rudraksh is to detoxify the aura. Beside religious and natural significance, it is the same seed fruit, which poses high value in Ayurvedic aspect. 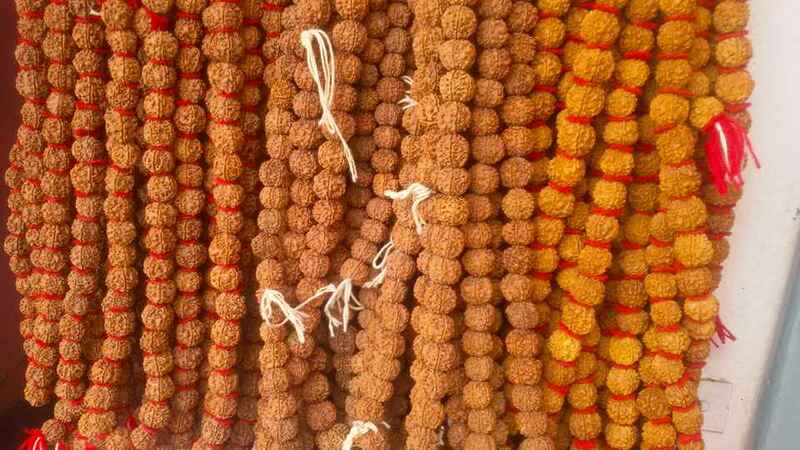 What are the Benefits of Original Rudraksha? Which Rudraksha is Best and How to Test? How to know Mukhi of Rudraksha? The Benefits of Rudraksha and related chakras. The natural electromagnetic properties produce by Rudraksh is beneficial to have a medical treatment of the human body. It helps to enhance the memory and the beads are used for mantle calculation while chanting mantras. It helps to control high blood pressure, maintain cholesterol level, so reduce the chance of heart diseases. Beneficial for Diabetes and kidney diseases. Its natural therapeutic property helps to balance chakras and many more. In eastern civilization, especially in Asian countries like Nepal and India, the benefits associated with Rudraksh are usually already been known from very long centuries. Because, all properties of this valuable seed has been already presented in ancient Vedic Shastras, Puranas, and literature. Charak Samhita (code) in Ayurveda is also mentioned about its medicinal value. In the ayurvedic therapeutic system, donning of Rudraksha can lead to a constructive impact on nervous system and heart. The seeds are hard and somewhat similar to earth like structure. In the past Rudraksh is commonly employed to treat blood pressure level, rheumatoid disease, anxiety and depression, hypertension, apoplexy, migraine headaches, liver problems, nerve pain, an asthmatic problem, and also depressive disorders. Scientific fact states that there is an amazing power in Rudraksh due to its electromagnetic properties. It gives different feelings when our body come to contact with it. Just a few years ago, without knowing the true fact, many young generation people used to wear it for fashion, even some used to mock against the wearer. Now scientist and researcher have given enough punch to the mockers and gave awareness to unfamiliar wearers. In fact, the researchers have confirmed the capacities of it scientifically with accordant effectiveness, which in depth revealed that it possesses dielectric, dynamic polarity (can shift its polarity), para-magnetic, diamagnetic and inductive character. According to the scientist David Lee, International University of Florida, he states that Rudraksha’s nature is electromagnetic or paramagnetic, its diamagnetism property is awesome and that impulse incite some healing chemicals in the brain, this helps medical treatment is the body. Next, Dr. Subvas Rai of Indian Institute of Technology, Vanaras, introduced the research papers regarding Rudraksh. His study figured out that, the beads have powerful electro-magnetic, inductive and also paramagnetic characters and such qualities have the healing powers. The black color of Rudrakshya is considered the best ones, while red, white, black, and yellow color is also available in the market. Similarly, it is deliberated the best, if a thread can be passed without making an artificial hole in a Rudraksh. But be aware of fake, artificial ones and Bhadraksha. The skillful artisan can make the replica of the original one and even can modify it into multiple mukhis. Simply by cutting and joining carefully, they can alter 4, 5 and 6 faces of Rudrakshya to one to 21 mukhis. Apparently sometimes the product made by skilled artesian can fool veteran knower. If you have doubt in originality of Rudraksha, you can do a home-based test by boiling it for 1 minute and cover it again for 1 minute in hot water. If it is fake, added chemicals start to come out and or it will crack soon. If holy bead remains same without any change, then it must be original not a phoney one. Next is a copper method, take two pieces of copper coin, put a holy seed in one copper vertically and slightly press to the top of Rudrakshya from another piece of coin. If the seed remains rotate, it must be genuine otherwise if it doesn’t rotate it is fake. Then another is water test method as well, once you place it in water it needs to sink rather than floating.Fake Rudrakshas is made by carving root of the bamboo tree and by adding artificial colors in it. However, this types of household experiment are not accepted by experts. They prefer to test through modern equipment, for instance, X-ray, CT-scan and etc. There are different types of Rudraksha available in the market they usually carry significant difference value. It is considered as a sacred tool which helps to connect human beings and god, and also known for gears to attach earth and heaven. According to ancient manuscripts, Rudrakshya comes from 1 to 38 mukhis. It is believed that the mukhis characterize three eyes of Lord Rudra, signifying the sun, moon, and fire. 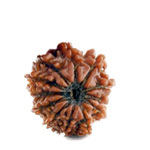 In market 2 to 14 mukhi Rudraksha is usually available for purchase. In addition to this, few other types of grains are also available such as Jwala or Gauri-Shankar (two beads connected), Trijuti or Tripath (three beads attached), Garb Gauri, Ganesh, Sawar, etc. Common: 2 to 14 mukhis are commonly available, amongst, 4, 6 and Panch mukhi is easily accessible everywhere at a cheap price in the market. Rare: ek mukhi (1 faced) and 15 to above mukhi are rarely available and are very expensive as well. It is very difficult to find it in the market by general people because many rich people want to seize it by pre-ordering and bidding. In this way, other seeds such as Gauri Shankar, Ganesh, Trijuti etc. are also considered uncommon and expensive. 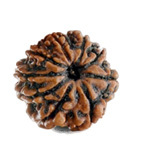 Mukhi of Rudraksha: In a single tree, we can see various types of beads, means the size, colors, faces and etc. may vary. Clearly, we can see vertical line carved naturally from top to bottom of seed, that is known as face or Mukhi in Sanskrit. To make it clear, for instance, if there are five vertical lines in a bead, then it means that it is 5 mukhi, two lines indicate 2 faces and so on. The number of lines indicates the Mukhi of it. Depending on the face it has, the value of Rudrakshya is determined in religious, medicinal, spiritual and economic aspect. In accordance to Sadhguru, in these modern times, many people have started eating and sleeping in new locations by reason of their job or business. For anyone who always keep moving around and who dines and rests in different locations, Rudraksh is a pretty good assistance. because it generates a natural cocoon of one’s own energy. You may have realized that, when we head over to a new area, we cannot sleep even though we are physically tired. Since the situation near us is not favorable to our own kind of energy, consequently it will likely not let us relax. For instance, sadhus, saint and nirvana seekers, they often remain traveling from one places to another and situations could trouble them. hence a holy bead will be helpful for every travelers and adventurers. The word chakra means “circle or wheel” in Sanskrit. 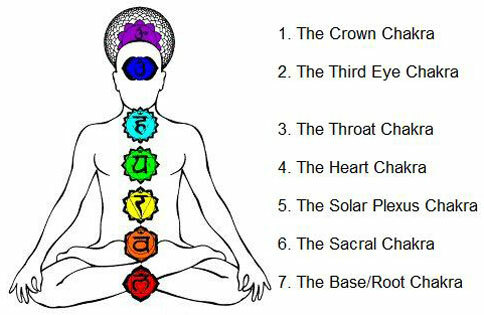 According to the ancient healing tradition of Hinduism and Buddhism, there are 7 major chakras in the human body, these are energy centers wheel resting across our physique from base of the spinal cord to the apex of the head. It is believed that wearing Rudraksha is the easiest and one of the best ways to balance chakra, however different mukhis are related to diverse chakras or energy. Once these chakras are imbalanced, we certainly have physiological and psychological problems. It Means if one chakra, for instance, (sacral) get imbalance we will get suffer from illness associated with sacral chakras, such as sexual disorder, womb problems, menstrual disorder etc. Almost all of the natural remedies or therapies such as color therapy, pranayama, yogic kriya or exercise, and meditation etc. are actually intended for balancing our chakras. See the below, which face is suitable to which chakra. It is considered as an avatar (incarnation) and or symbol of Lord Shiva plus it is also known as the head of all beads and is operated by Suryadev. The description about it can be found in Shivapuran’s Rudrakshya Mahatmaya. According to the believers, wisdom, prosperity, and happiness are attained by wearing it. Being rare and powerful, Ek mukhi Rudraksh is well thought-out to be a precious boon of nature and it is very expensive too. In accordance with a spiritual view, this cashew shape powerful bead also has the capacity to destroys all the sins and past bad karma and purifies our soul. In accordance to astrologers, the best substitute to 1 mukhi bead is 12mukhi. Some scholars’ states it as most powerful Rudraksha in the world. It is believed that it is obtained from the tree, only in special days such as during Maha Shivaratri, Purnima (Full moon day) and etc. Historically, it is also believed that Ek Mukhi Rudraksh can cure mental illnesses like neurotic disorders, Migraine, depression, and many more illness. It gratifies all our desires and is a gizmo to attain salvation. 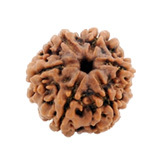 One face Rudraksh is perfect for meditation and spiritual achievements. According to Shiva Purana, Ek mukhi bead can thrive, during Siddhi yoga on Thursday, when flower gets closed instantly after rain water poured inside it. Furthermore, Nepalese public states that, only three 1 face grains can grow well in one tree within 12 years and only on special days. Among them 1 goes to the sky, 1 remains in the ground and next goes to patal (hell). To be brief, from one tree we can get only 1 Ekmukhi Rudraksha in 12 years. 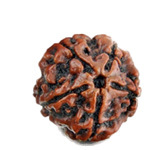 Every people in this world, who know about this holy fruit, always have a dream to acquire Nepal’s Ek mukhi Rudraksha. But you may wonder why Nepal Rudraksh? Well, because Nepal’s Rudraksh is considered to world’s top quality and the size, density is perfect, since the weather, soil and climatic condition is perfect. 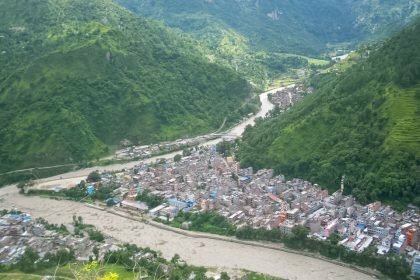 In Nepal, it is also known as dana in some rural places. Till a few years ago India was a top importer of Nepalese dana and bodhi seed, however, now china is becoming a top importer. Now we can see many Chinese merchants reach in the village to trade directly with the farmers. In accordance to many Nepalese traders and news portals of Nepal, before Chinese importers often used to buy any quality and kind of Rudraksa, but nowadays they started to buy only quality ones and ready to finance huge amount in it. Because of high demands on rare items, it is is very difficult to acquire local original Ek mukhi Rudraksha in Nepal. Yes, it is not respectable to say impossible, but almost many of them are reserved already by foreign dealers, only lucky fellow can get it if he/she has access and good relation with a big farm. 1 mukhi is considered good to balance and awake Ajna (Third Eye Chakra). Some powerful Mantra for Ekmukhi bead: Om Namah Shivaya, Om Aim Ham Aum Aim Om. Zodiac: Ek-mukhi is very auspicious for the people of Simha Rashi (Leo). It is believed that 2 mukhi Rudraksh is inhabited by Lord Shiva and Goddess Parvati Shakti. 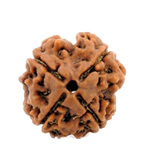 This Rudraksa is also called a symbol of Ardhanarishwor, Uma and or Deveshwor. Do mukhi is considered to be boon for female. It is a representation of the moon, astronomical body, so it gives the peace of the moon. Two face beads are generally good for the people who are seeking to get children. It can also be worn by individuals who are searching for a partner. Rudraksha generates a feeling of solidarity and oneness in a marriage or relationship. They might be a married couple, parents-children, friends, etc. It gives peacefulness, joy and happiness and pleasure in life. This can create positive energy vibration to heal the mind and inner feelings, so it is also best for Yoga and Meditation practitioners too. 2 Mukhi is good to awake and balances Svadhishthana (Sacral Chakra). Zodiac: The 2 face is beneficial for Cancer (the people of Karka Rashi). The Teen mukhi Rudraksh represents three power in Hinduism, Brahma, Vishnu, and Maheshwor are worshiped in the form of Tri-Shakti. Naturally, three lines are available to see on its surface. It is believed that this powerful 3 mukhi Rudraksha helps to boost our self-confidence and eradicates negative thoughts from our brain. Trimukhi bead also represents the personification of Agni devata. This powerful bead is effective in trashing the adverse effects of past Karma, eradicate Mangalik Dosh (Mars Defect) and flushes tension from your life. In short, the wearer gets free of sin and it may helpful for people who have problems with depressive disorders, fear, guiltiness etc. 3 Mukhi Rudraksha is associated to balance Manipura (Naval Chakra). Powerful Mantra for it: Om Kleem Namaha. Zodiac: 3 Mukhi beads is considered auspicious for Aries (Mesh Rashi People). 4 Mukhi Rudraksh is considered a living form of four-headed Brahma-himself. The Char mukhi beads can be helpful for those people who have lack of confident in communication aspect and babbler. Since it is related to throat chakra healing bead, it leads to achieving success for singers and speakers. Once who wear this beads, he or she will become pure with mind, body, and word. Lord Brahma is the knower of all the Vedas, similarly, in the life of a one who wears this Rudraksha, in his or her life all the ways of knowledge are uncovered. Accordingly, it can be very beneficial for researchers, singer, students, teachers, scholars, and journalists. 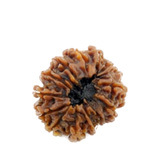 This types of Rudraksh makes a wearer creative, intellectual, confident, sensible and healthy by nature. Char Mukhi is used for balancing Throat chakra (Vishuddha). Zodiac benefits: 4 Mukhi is beneficial for Gemini (Mithun Rashi People). 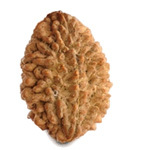 Panch Mukhi Rudraksh is equipped with all the energizes of Lord Shiva. 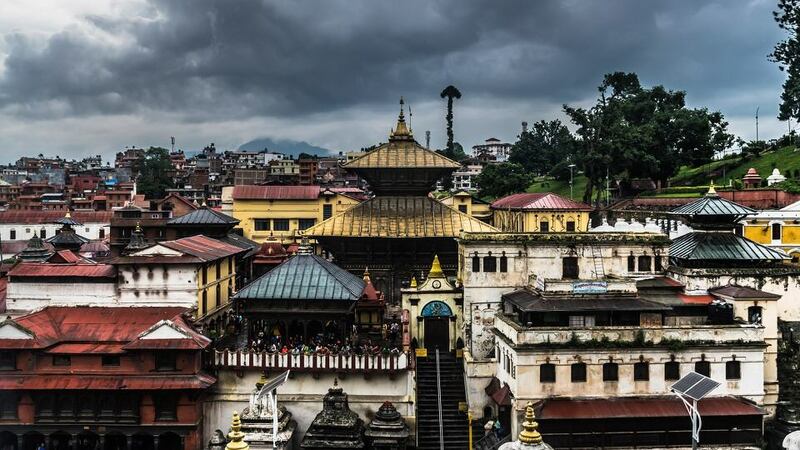 It is believed that it holds the power of Pashupatinath since the idol of lord Pashupati has 5 faces named Sadyojata (Barun), Ishan, Vamdev, Tatpurusha, and Aghora. This is the reason that this types of Rudraksh are found in the highest quality and quantity in the land of Pashupatinath i.e. Nepal, however, this types of seeds are available in other places too but the size and density don’t match with Nepal’s ones. Planet Jupitar is the lord of this Rudraksha, it is assumed that wearing 5 mukhi can reduce the negative impact of the Jupiter Planet. For blood pressure and heart patients, this is only a magic potion. This bead is blessed with all virtues, it is said that the five power resides in the Panchmukhi Rudrakshya brings wealth and happiness in wearers life. 5 Mukhi is used for balancing Vishuddha (Throat chakra). 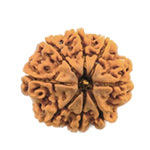 Zodiac: This Rudraksha is considered lucky for the people of Sagittarius, Aries, and Pisces (Dhanu, Mesh, Meen Rashi). 6 Mukhi Rudraksh provides wealth and wisdom, it is also considered the manifestation of Lord Shiva’s son Karthikeya and Ganesh. Wearing it leads to increase of knowledge, wisdom and wealth. This Rudraksa is deliberated to be extremely important for the married people to avoid divorce, to be successful in love marriage, to be a master of any arts and many more. This Rudraksha, especially good for children who are studying, should be kept in the right arm so that it can be boon for them. If you have a Rudrakshya of 5 faces with a 6 mukhi Rudraksha, then it is more worthy. From the point of astrology, this Rudraksa has been considered as an effect of Venus (Sukra) Planet, the planet which relates to luxury and comfort. Six mukhi Rudraksha is considered very important to full fill the representation of Venus and to get rid of gynecological problems. Zodiac: It is considered auspicious for people of Taurus (Vrishabha) and Libra (Tula) Rashi. The seven face Rudraksha is considered as the Incarnation form of Kamadeva and Shanidev. 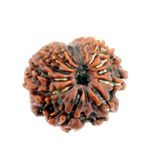 This Rudraksh has seven line in its surface so it is called a 7 mukhi Rudraksha. It is said that Lord Shiva Shankar will be delighted soon after wearing it and there is no effect of any kind of poison and minimizes accident. In accordance to Padma Purana, 7 different powerful Nag resides in each distinct face. It is also one of the most accessible beads in the market. Saturn is the governing planet of the 7 mukhi Rudraksh, so It is considered to be very useful for those who are affected by the Maha-Dasha of Saturn, and Saturn’s Dhaiya or Sade-sati. To control and calm the Saturn’s effect, this types of Rudrakshya is extremely beneficial to get rid of poverty, struggling being jobless, and unhealthy life. It is beneficial to balance Manipura (Naval Chakra). Zodiac: The Master planet of the Capricorn and the Aquarius is Shanidev, so it is said to be auspicious to wear it for the two Makar and Kumbha Rashi people respectively. The controller of the 8 mukhi Rudraksh is a Rahu, a shadow planet. Lord Ganesh, has been considered as the chief idol of eight Mukhi Rudraksh. He is one of the beloved sons of Lord Shiva and mother Parvati. It is also known for a form of Bhairav and Ganga. 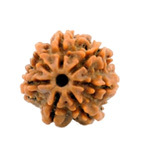 Once who wear this Rudraksh, it helps to attain high post and improve concentration in any work. Eight mukhi release all our negative karma and provide long age and add positive energy to wearers life. 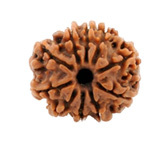 This Rudraksha is very beneficial for business man and women since it acts like a very powerful shield for those who lie and it can instantly destroy all sin. According to many astrologers, if the condition and placement of Rahu are malefic in our Kundali (Birth chart), eight mukhi Rudraksh helps us by removing all obstacle of Rahu dosh. It helps to unlock and balance Muladhara (Root Chakra). Zodiac: No specific Rashi is required. 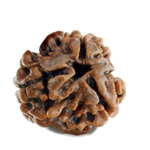 As per Maheshsh puran, 9 mukhi Rudraksh is regarded as symbolic of the 9 powers of goddess Durga Bhawani or Bhagwati. Durga Bhawani has 9 forms namely Shailaputri, Bharmacharini, Kushmanda, Skanda Mata, Chandraghanta, Katyayani, Maha Gauri, Kaal Ratri and Siddhidatri, this 9 face Rudraksh points out each one of their forms. It is assumed that, while wearing, it is good to confine it to the left hand or in the throat. Devi Durga is a symbol of power (Shakti), one who wears this Rudraksha would be free from fear and death and mother’s blessings always remain on him/her. The nine faced bead is functioned by the Ketu planet; it is believed that the impacts of Rahu-Ketu also can be prevented by wearing this Rudrakshya. It has also been perceived as effective for eyesight issues too. Ketu planet has been known to offers unexpected and surprising benefits, thereby the possessor of this holy fruit is able to get lots of benefits suddenly. The wearer gets wealth, honor, glory, name, fame and all kinds of pleasures in his life. It is also known for Bhairav swaroop. 9 Mukhi Rudraksha is very beneficial to activate and balance Sahasrara (Crown Chakra). Mantra: Om Hreem Hum Namah, Om Dum Durgaye Namaha. 10 mukhi Rudraksha is seen as a manifestation of Lord Vishnu. According to Bhagwatgita, Lord Krishna tells, I will take different incarnation to destroy evil in a different era to protect humans and dharma. Remember that, Shri Krishna was also an incarnation of Vishnu. It is believed that each Mukhi of this Rudraksha is associated with every ten incarnations of Lord Vishnu. In terms of Astrology, it is not under control of any planet of our solar system, so it is believed that wearer won’t be affected by the malefic force of 9 Planet in his or her life. Due to the blessings of ten Rudras, no wearer need to fear of ghosts, black magic, negative hypnotization, vampire, phantom, etc. Since it is equipped with having an effect of 10 incarnations along with ten directions. It does the job akin to a shield on one’s body and even keeps detrimental effects away. In short, it is said that mainly this, ten mukhi Rudraksha is beneficial to remove the obstacle created by the malefic planet and beside it, also offers comfort and beauties to holders too. 10 Mukhi is used to balance Svadhishthana, Sacral Chakra. Zodiac: Non restricted, no planet is related to it. 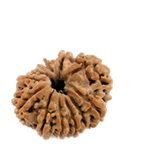 11 mukhi Rudraksh is believed to be the Rudra form of lord Shiva. It is very suitable for the yogi who wants to engage in yogic meditation and adventurers. The eleven mukhi can be hold any gender or Rashi and it is said that 11 sense can be controlled by it. But some terms and condition has been applied on it, the wearer must wear only on upper part of a body, no below passport size. This Holy fruit is considered best way to grab the grace of Shiva Shankar and Hanuman ji. Some Astrologer suggest to wear it when there is a problem with the disease, if someone who have addiction of alcohol and other narcotics items. It is said that, individual who wear eleven mukhi will be blessed with healthiness, wisdom, fearlessness and he can do perfect decision at right time to success and many other positive aspects. In squat, it helps to complete the positive desire by building a positive aura around wearer’s periphery. 11 Mukhi is beneficial to balance Vishuddha, Throat Chakra. Zodiac: Not restriction, it can be hold by any group, gender, Rashi’s People. The 12 face Rudraksh is seen as the form of Lord Narayan and a symbol of Surya dev (The sun). Anyone can hold this holy seed but it is considered to be very lucky for the individuals whose, the sun is in a weak position in Janma Kundali. It is said that only by holding it the wearer gets rid of incurable and very bad diseases. 12 mukhi is considered to be the best for the people who are in politics, administrators, business and government sectors. In accordance to Shiva Purana, it must be put on only in the head area to get blessed by Lord Vishnu and Sun God. Individual wearing it receives the quality of the sun – to rule in order to proceed consistently with great radiance and ability. Twelve mukhi Rudrakshya is very highly valued for attaining all the physical pleasures, prosperity, name and fame, children, education, happiness, and prestige. It is also known as an alternative to ek mukhi Rudraksha because both holy seeds are operated by lord Surya dev and it also helps us to acquire siddhi as well. 12 mukhi helps to balance and activate Manipura, solar plexus Chakra. Mantra: Om Kroum Sraum Raum Namaha. Zodiac: Anyone can wear it. We can see, there are thirteen lines of vertical stripes in 13 mukhi Rudraksha, it is seen as the manifestation of Lord Indra Dev, King of all Devas. Venus, the Planet of love and wealth is the Ruling Planet of it. This holy bead has also been considered suitable for hypnotizing, to attract, siddhi and sadhana. It is considered one of the powerful beads because it holds the blessings of Cupid’s (Kamdev), Kuber (Lord of wealth) and penates (Petri Devata) too, so all kinds of wishes are fulfilled by holding it. It is said that thirteen mukhi is best for a childless couple, single people who are searching for a love life. It is also adopted to reduce the malefic impact of any planets so all kinds of enjoyments, honor, good luck, attractive personality, success and many more are achieved. 13 mukhi is best to activate and balance Svadhishthana, sacral Chakra. Mantra: Om Hreem Namah, chat this holy word at least 108 times a day. Zodiac value: It is more beneficial for Libra, Tula Rashi People. 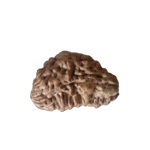 14 mukhi Rudraksh is believed to be the domicile of Lord Hanuman ji and also known for most precious Dev mani. Though it is rarely available in the market, it is accessible, if we do compare with 1 mukhi. The person remains fearless because of its effect, wearer gets rid of all the catastrophes, worries. It guards against ghosts, black magic, and bad spirits. Fourteen-mukhee works as a great medication for Sani and Rahu Dosh of the holder and destroys all sin. In accordance with some tale, before Kings and queen used to include this types of the holy bead in their crown. To gain the full benefits Chudha-mukhi Rudraksh is best to be worn on above chest area. 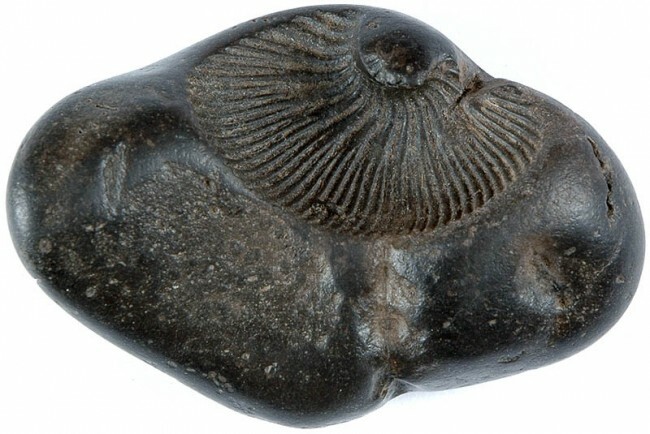 This bead has also been deliberated as the best for all categories of spiritual knowledge and energy. In short, it is said that it provides safety and security to the wearer by removing negative cosmic energy. 14 Mukhi is best to balance and activate Ajna, Third Eye Chakra. Zodiac: Best for Capricorn, Makara Rashi. Note: Rudraksha must be worn out on important days only. The best choice is a Monday, Maha Shiva Ratri, Ganesh Chaturthi etc. Thou, it is highly recommended to energized and take necessary ideas from a good astrologer, since, each different mukhi has own special characteristics. Remember that, all mukhis are not suitable for bracelet (hand’s), because some are advised to wear only in upper part of body. If you have any question, suggestion or want to share any information related to the Rudraksha, please comments below or contact.